Does your sales team truly know how your customers buy? Can they answer questions buyers pose, that must be answered at each transition in the buying process? Experience a 33% lower SaaS churn rate. Companies with a formal sales process aligned to how customers buy, experience a 14% higher quota achievement and revenue plan attainment. Purpose/Outcomes: This new 28 page eBook will help create an understanding of the B2B buying process, not through the lens of the sales funnel, but based on what’s actually going on in the buying organization. 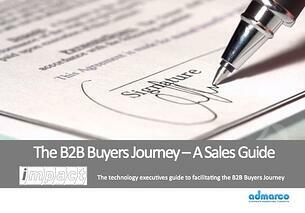 This eBook will help salespeople to understand how to facilitate the buying process.